Those seeking to stop Line 3 greatly outnumbered its supporters at a Sept. 28 public hearing in downtown St. Paul. 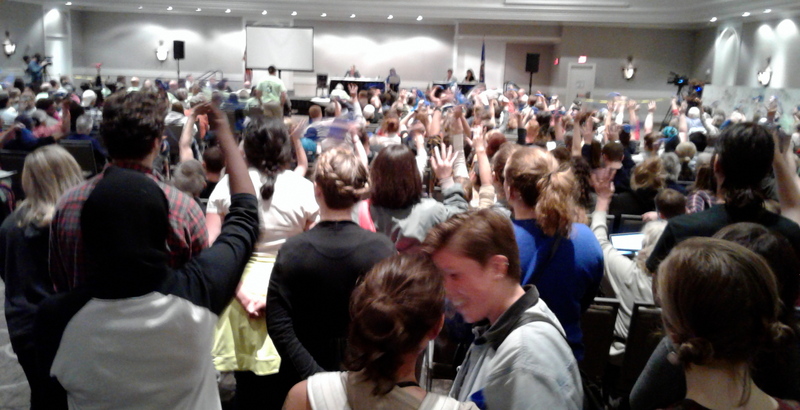 Instead of applause, Line 3 opponents waved blue hankies to signal support for speakers. Efforts to Stop the Enbridge Line 3 tar sands pipeline are in the home stretch. Those seeking to stop the pipeline had a great showing Thursday, rallying at the Capitol, marching down Cedar, and packing a public hearing held at the Intercontinental Hotel. Argument 2: The Old Line 3 is Falling Apart, a New One Would Be Safer: There is no dispute that the current pipeline is in bad shape. Building a new one is not the safest option. Approving the pipeline would be repeating a mistake. We don’t need this pipeline; if we approve it, in another 30-50 years we will have another old and decrepit pipeline rotting in the ground. Argument 3: Pipelines are Safer than Rail: On one hand, Enbridge argues if the permits for the new Line 3 are denied, it would keep using the old and failing Line 3. 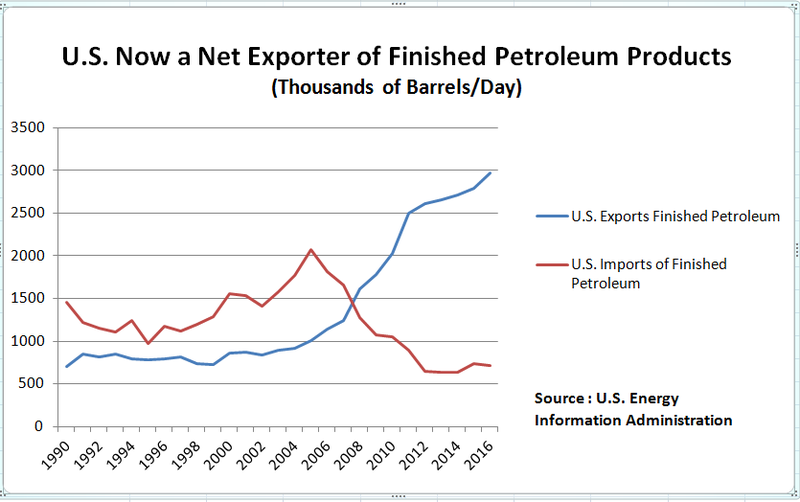 On the other hand, it raises the specter of more crude oil moving by rail and truck. That ignores the safest choice: no pipeline, no rail. More on all three of these arguments below. First, let’s talk about the moral issue. Say for argument that the University of Minnesota developed a cold weather tolerant tobacco plant. The state could create thousands of jobs growing and selling tobacco. Is that the kind of economy you would want to support, knowing the pain and death that tobacco causes? Why then would we approve a project that is doing great harm? This is not a jobs vs. environment debate, its jobs vs. public health, environment, and the greater economy. “As of 2013, oil sands mining operations were licensed to divert 349 million cubic meters of water annually from the Athabasca River – twice the demand of the City of Calgary (population 1 million-plus). Less than 10% of the water approved for withdrawal is returned to the river. At least 90 percent of the water used for mining ends up in toxic tailings ponds. The toxic tailings get into to the ground water and harm the indigenous people living in the area as well as plant and animal life. Line 3 would not be profitable if it had to pay for these real costs, costs that Enbridge is passing onto individuals and governments. Let’s do the math: the project creates 4,200 jobs in Minnesota vs. $287 billion in social costs created by this entire project. From a Minnesota perspective, a “yes” vote for the pipeline means we’re OK with $68 million per job, spread over 30 years. We can do better. The “jobs vs. environment frame” needlessly divides labor from environmentalists. Northern Minnesotans deserve good paying jobs. This is not the right path. We need to find a better one. This pipeline will not affect energy security for Minnesota or the United States. Pro-pipeline advocates raise the safety issue as a key argument for Line 3. They say a new pipeline is safer than the old one. They say transporting by pipeline is safer than rail or truck, which go through urban areas. The simple answer is that we know we don’t need this oil, so the safest option is “no” to rail, truck, and pipeline. The overall gasoline and diesel demand in North America and other OECD [developed] countries is expected to decline over the next two to three decades. On the other hand, the global demand for crude oil, especially in emerging economies, is projected to continue to increase ‘for the next 25 years and beyond’, which presents attractive export opportunities, considering Canada’s sizeable oil reserves. This makes it clear, projects like Line 3 are not serving a public purpose for Minnesota or the United States. This is oil for export. More pipelines will not stop the movement of oil by rail. Rail and pipelines are not interchangeable and play different roles in our energy infrastructure networks. Shippers and refineries will continue to take advantage of the speed and flexibility that freight rail transport offers over pipelines.